On Costa Rica's Gulf of Nicoya sits the beautiful DoubleTree Resort by Hilton Fiesta Hotel Puntarenas, a resort offering an all-inclusive option! Located on a striking volcanic sand beach, the resort offers a host of activities, such as tennis, swimming, and horseback riding. Nearby, gorgeous parks and forests, a marina, plus the opportunity to enjoy waterskiing and scuba diving await guests. 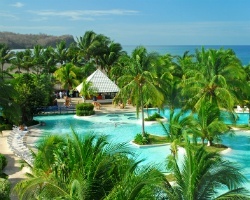 For more information about this exciting resort, visit http://doubletree1.hilton.com. 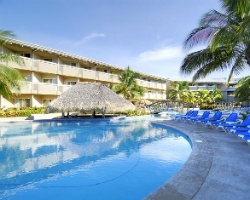 Great resort with many activities onsite and nearby! Floating week of your choice! Inquire for details! RTU until 2020! Floating week (16-25, 31-46) annually! Beautiful resort on Costa Rica's gulf of Nicoya! Week 47 usage! RTU until 2025! Inquire for details!